The Arius ceiling fan can be set to three levels (power: 59/35/20 watts, RPM: 178/110/51). 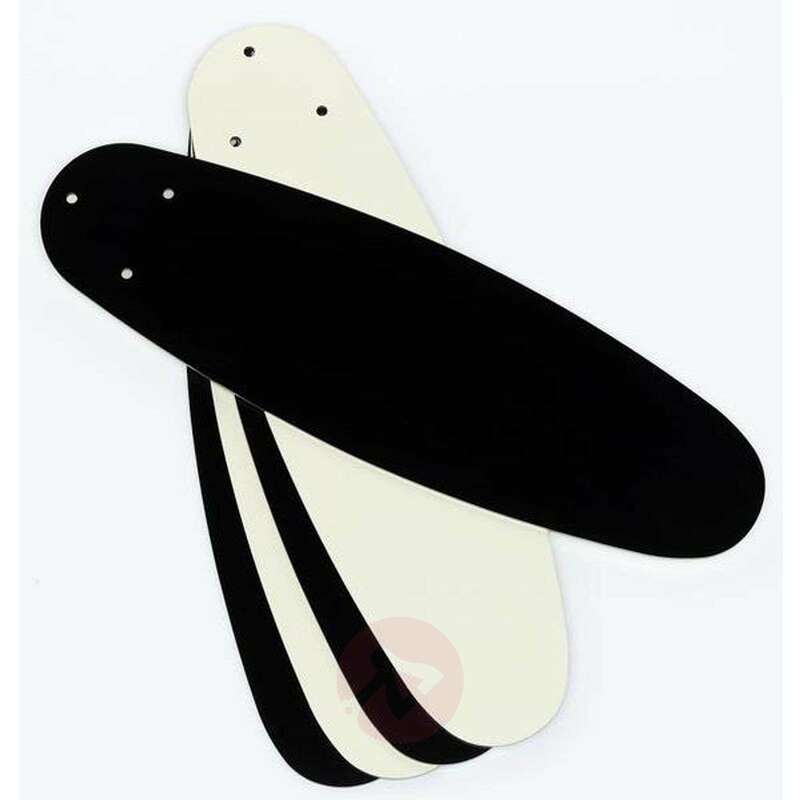 The blades are also reversible (black or cream). 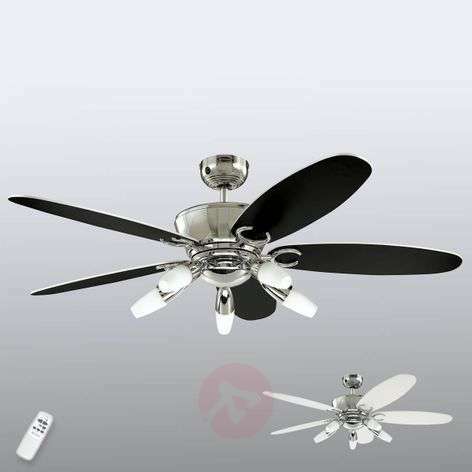 A reliable Westinghouse brand product which convinces with quality and a stylish design. Extremely smooth-running and quiet. Suitable for rooms up to 30 m² in size. Rooms 3.5 m high or greater, extension rods are recommended (see the accessories). 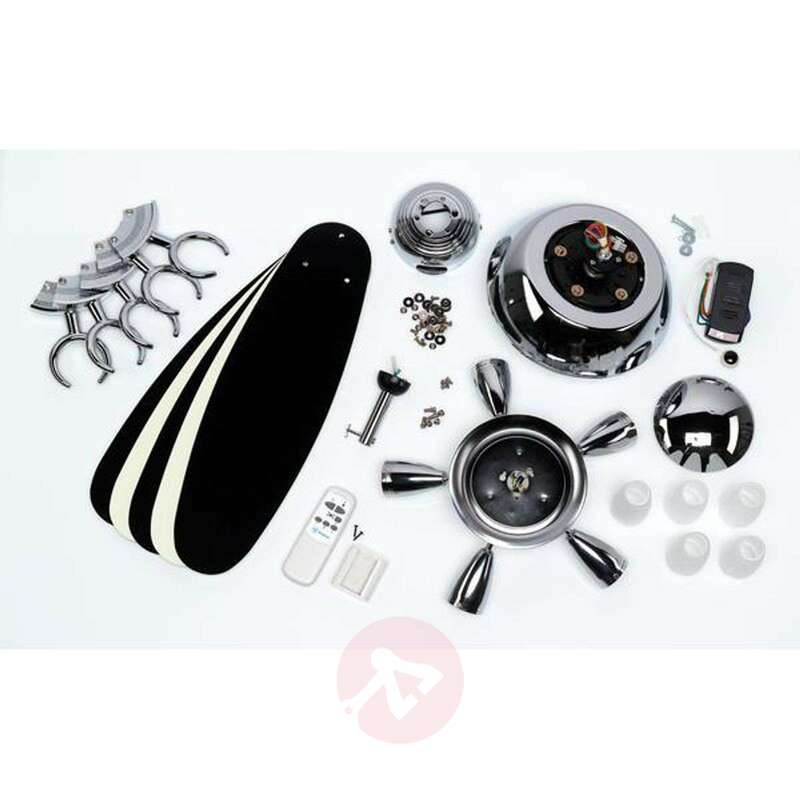 The manufacturer provides a 10 year warranty on the engine. 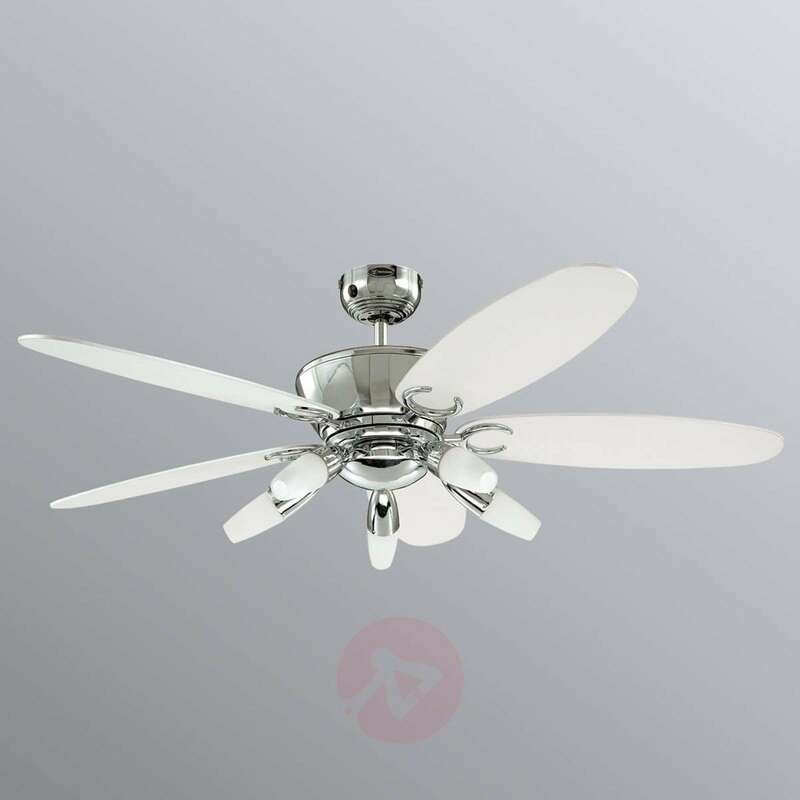 Please note: the blades of this ceiling fan can rotate in both directions (can be selected via a slide switch on the housing) and is thus suitable for use in the summer and in the winter. 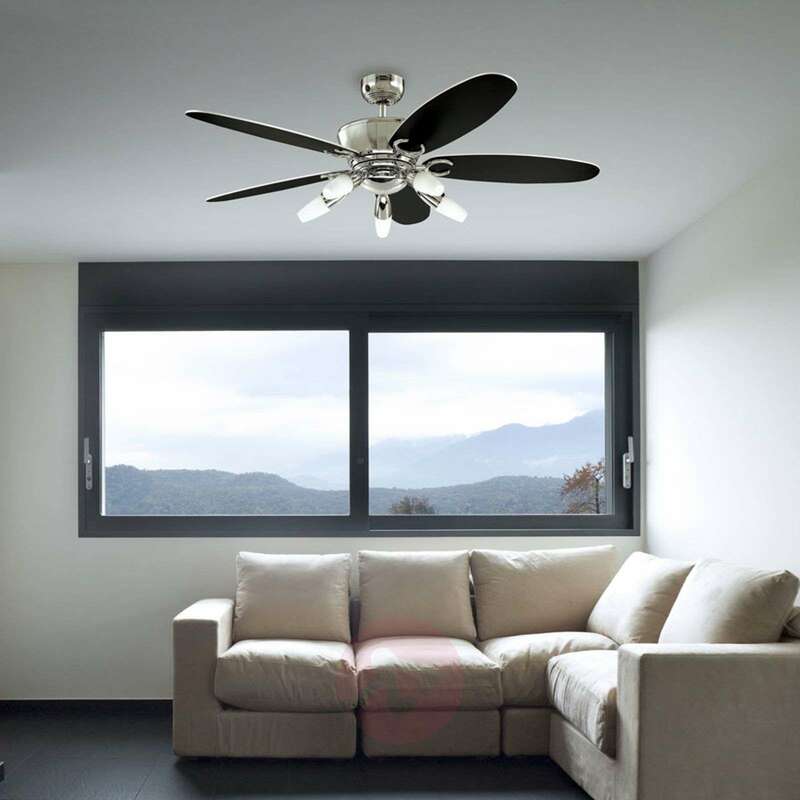 In the winter, it saves up to 30 % in heating costs and in the summer it provides fresh air. Light bulbs: 5 x E14, 3U type. Each bulb should have a maximum of 9 W (not included but available for purchase separately). 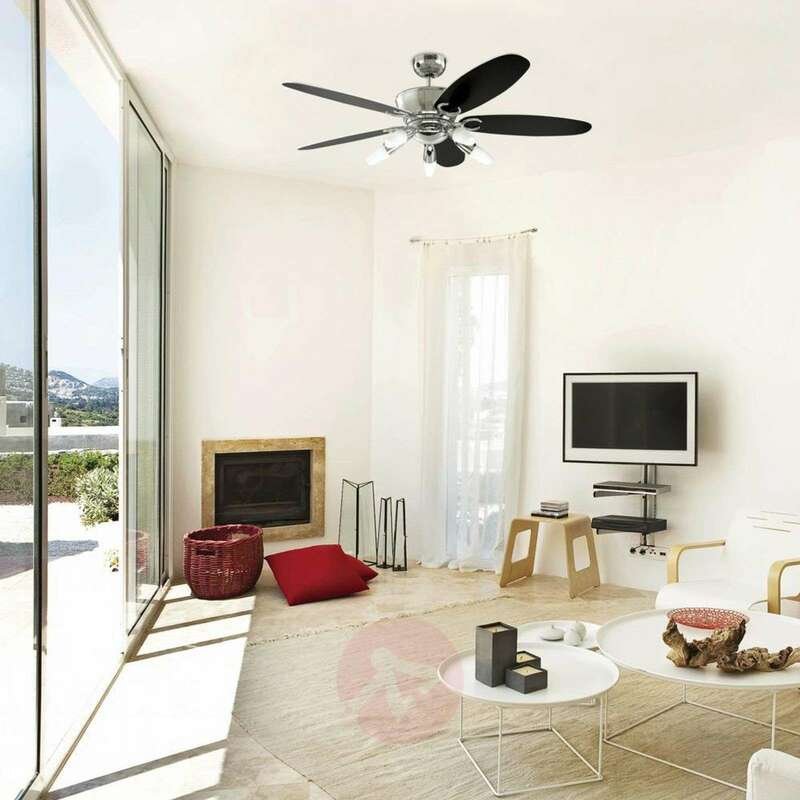 Arius is suitable for installation on ceilings with a slope of up to 40°. Operated via remote control (included). Alternatively, a wall switch can be ordered as an accessory.